Give Yourself the Gift of Great Legs! As we get older, especially for those of us who had careers that required a lot of standing, varicose veins are likely a part of your life. 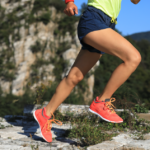 In short, varicose veins are veins that have become misshapen and enlarged due to a difficulty in the proper amount of blood being able to reach the veins. West Florida Vein Center specializes in the treatment of varicose veins and spider veins in a pleasant, convenient, out-patient setting. No one needs to suffer from untreated varicose vein disease anymore. In addition, with today’s favorable insurance coverage, the procedures are even more accessible. 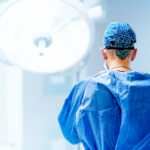 In year’s past, “vein stripping” operations were done under general anesthesia with multiple incisions, followed by days of hospitalization and a lengthy recovery. 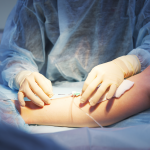 Dr. Zuzga utilizes the latest, state-of-the-art non-surgical techniques to treat vein disease. As a result of Dr. Zuzga’s techniques, patients typically return to work the following day. Don't just take it from us. Hear what our clients have to say! Dr. Zuzga and his staff were all very pleasant and personable and went out of their way to make me feel comfortable. Down to earth. Professional, but at the same time I felt like I alomost made a new friend. Addresssd my issue, quickly, and procedure was 100% successfull. Not only the surgeon Ive ever met, but the best doctor all around. I liked him right from the start, he usually gets his own patients from the waiting room and is always always pleasant. i would recommend him without hesitation. He saved my fathers life after a ruptured AAA and even came in in his days off to see him in the hospital. After that, I went to Dr. Zuzga for him to treat my veins…..awesome result. I recommend him without reservation!! By far the best vascular specialist I have ever come across. You see him, not a PA or nurse. Great down to earth personality. Excellent treatment with 100% on my painful legs. Great bedside manner, surgery went great. Fixed two issues with me and one with my wife. Peripheral vascular stents and an abdominal aneurysm on me and veins on my wife. Just seems like a regular guy who is great at what he does. Let me just say, that yes Dr Zuzga is extremely busy, (office was jam packed) BUT he answered every single question that I had as well as my father. 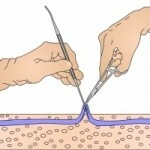 Explains every important detail as well as nonsurgical options. He fixed my dads legs so he could walk again!!! Down to earth, highly recommend. Dr. Zuzga knows his stuff, period. Surgery went great, recovery went better he fixed my abdominal aneurysm when others said they could not. I got lucky finding this surgeon. Highly highly recommend. No one needs to suffer from untreated varicose vein disease anymore. In addition, with today's favorable insurance coverage, the procedures are even more accessible. If you have a vein problem, you need Dr. Zuzga and West Florida Vein Center! Think Laser Vein Treatment is Just for Your Legs? – Think Again!